We live in a YouTube world which is one that changes how we interact with all media. We once listened, watched and read media, but today we increasingly adapt, sample, make and recreate it. From sampling music and repurposing it to films, social networking and expressing our views online, we now want to share media at a click and online. Today the Administrative Office of the US Courts, report that less than 50 people are charged with a criminal copyright offense a year Today the Administrative Office of the US Courts, report that less than 50 people are charged with a criminal copyright offense a year. However a new US bill, Senate Bill 978 could make the embedding copyrighted videos a crime, punishable by five years jail. The bill extends the existing laws on the reproduction and distribution of copyrighted works with the phrase "public performances by electronic means". Today it is illegal to reproduce or distribute copyrighted works by downloading them, but streaming has been classified as a "performance" rather than distribution and has therefore has been exempt. Under this change streaming copyrighted works will no longer be a misdemeanour and once the video has to be seen by at least 10 people over the course of 180 days and if the value of the broadcast is worth more than $2,500 and the value of the copyright licenses are worth more than $5,000 it will become a felony. Ok let’s accept that the 10 people in 6 months would appear to be a very low, if not ridiculous catch all, bar and we must also question the value threshold as also being so low in comparison to what the RIAA valued a tune in their litigations. The bill aimed at streaming services, but as we migrate from downloading to streaming media this act could further expose the widening gulf between the media industry and the consumers who are often unable to see the rules with the clarity of others. We could also face the question of those who play the movies at home being at risk. What is also clear is that there is a new generation of users who do not share the same approach to copywrite and maybe the sick approach is not the answer as they potentially are the future. The irony the route adopted is that it is very likely stimulate demand and make more aware for the already growing number of sites that stream videos and movies legally. Someone in Google must have more money than sense as they actually deployed their Street View cars to Bangalore. 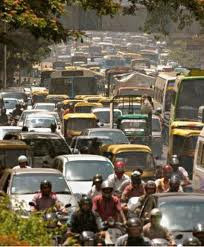 As I write this I am in fact in Bangalore and know too well the traffic chaos that is India and in particularly the big cities. Today I was stuck in traffic and what was on a map a short journey turned into 45 mins of honking and a tribute to the special awareness of Indian drivers who miss an accident by sometimes thin air. As for mapping the streets that conveniently often are not in English and don’t exist then that is another matter. However we are saved for putting yet another car into this madness as Google’s cars have been grounded after an objection from the city police. 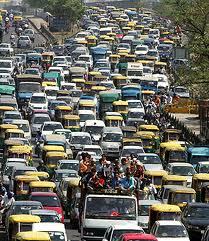 Google, received a letter from the Commissioner of Police of Bangalore asking it to stop the cars. 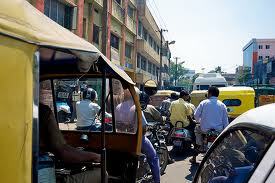 MediaNama, claim the police also have reservations regarding legality of Google's Street View in India. Street View is claimed also by some that the filming falls under the FDI (foreign direct investment) policy that governs investment and participation by foreign companies in Indian media. Personally I don’t see the point of filming traffic jams, tut tuts, hairy vehicle movements and the odd street but it could be a super deterrent for anyone thinking they will hire a car and drive in India. The library digital world is starting to undergo some serious consolidation and establish interesting partnerships. The market itself is quite diverse with public, institutional, academic, corporate and educational libraries supporting different usage and content needs and straggling not just books but learned journals, journals, reference works and information resources. Overdrive announced a partnership arrangement with Amazon to offer the giant’s digital content through their increasingly dominant public library offer. This coupled with Amazon’s new and limited loan service begs many questions as to the exclusivity of the partnership, the long term ambitions of Amazon and their intent to move in this direction. The public library arena could become crowded with many digital supply offers and we still have Ingram in the US and many localised offers emerging around the world. Google appears to be stuck with their settlement offer and intent to cloud cover the library world but their intent to be the information index of the world and their continuation to scan libraries and now grow their bookstore clearly indicates that they aren’t going away. However they have just announced and arrangement with The British Library to access a huge volume of out-of-copyright works for free for the first time on the internet and mirrors deals Google already has in place with more than 40 libraries around the world. The British Library deal covers some 250,000 texts dating back to the 18th Century. Google covers the cost of digitisation, producing one copy for its own use, an one copy for the library. Smiths News bought Dawson Holding earlier this month. Dawson Books, is the largest division on the acquisition and makes for a good strategic fit, complementing Smiths Bertram's wholsale and library services division. Dawson's eBook platform provides an established digital platform, an alarming gap in Bertram's market offer. Hat more acquisitions could be undertaken. EBSCO and The H.W. Wilson Company have recently announced a merger agreement. EBSCO and Wilson have complimentary products the merger will enable the Wilson controlled vocabularies to be integrated into EBSCO's controlled vocabularies, resulting in improved subject indexing for EBSCO databases and its search and relevancy ranking algorithms. Similarly, Wilson indexing, abstracts and full text will be fully searchable via EBSCO Discovery Service for subscribers of Wilson databases. SwetsWise, a competitor of EBSCO, has expanded its eBook catalogue to over one million publications. Swets has achieved this with leading eBooks publishers and aggregators. This in turn compliments and enhances their librarian interface for librarians and information managers to select and acquire eBook content. Customers are able to purchase under the same pricing and purchase models offered by publishers and aggregators directly offering a single, user-friendly interface to acquire and manage both eBooks and journals. Then we have OCLC who have their WorldCat Digital Collection Gateway to access WorldCat, the world’s largest library community of over 72,000 libraries in 170 countries which host over 230 million records of books, e-books, serials, sound recordings, images, musical scores, maps, visual materials, mixed materials and computer files. Finally Bloomsbury have show us that a simple library shelf offer has a great appeal to public libraries and a model that has the ability for libraries to do it themselves. 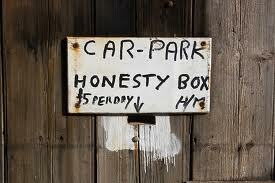 Are You Selling Your eBooks Via An Honesty Box? Imagine you have 100 ebooks and each has to be handed over to not one reselle,r but potentially many. Each reseller stores the files on their system and effectively sells copies of the file to their customers and can also sell them through other resellers to their clients. The files sold may be complete download sales and could if I have granted these could be sold as separate chapters. Some could be sold online as direct rentals, or under subscription. Some may be loaned by ‘libraries’. Revenue could be subject to an agency model on a ‘fixed price’ , or net sales as per a wholesaler terms. Whatever, the model, whatever the channel, whatever the price you only effectively learn what has been sold long after the event. Now ask your CFO if they are happy giving the company assets to all resellers and then waiting, for them to tell you what they have sold and to pay you what some call as being ‘on consignment’ in a print world and via an ‘honesty box’ in the digital world. The difference is that in the print world you can count the units out the door and the stock in hand. In a digital world you merely hand over one copy of which many copies are made and sold, hopefully many times. We are not questioning the integrity of any reseller service, we are merely pointing out that the digital ebook world is built on a lots of trust and not a lot of counter balances. Some aggregators do provide some statistics of sales online, others you wait for the sales report to tell you the facts after the event. In all cases money sits in cash flows waiting for yesterday’s financial processing to grind into action. Now spare a thought for the author who is one link up the chain and has to wait until his royalty statement is produced to find out what sold and the royalties earned. It often can’t be done any sooner as it has ‘to be processed and consolidated with the old print royalty system’. We would suggest that authors may be a bit more digitally responsive with transparency and speedier in not instant reward. Some would suggest that they first have to earn out any advance on front list but on back list, we shouldn’t have the same block and maybe we should be thinking how and why rather than why not? Digital is different but we spend far too much time dreaming up the sizzle and worrying about the formats and standards and selling and often very little focusing on how we could collect cash faster and more transparently. The next thing we will have is a new audit service to pour over the figures to validate that they are accurate or not and of course incur yet more cost to offset. The obvious candidates for this would be the likes of Nielson and Bowker. We are living in a world of instant cash transactions, where a credit transaction made anywhere in the world can be see by all, where information is real time. We subject the ebooks to DRM authentication which automatically can validate licences in flight and the likes of Adobe can authenticate every encrypted licence of an ebook using their DRM solution in real time, yet we can’t appear to see sales and collect cash on payment. It somewhat ironic that it could be argued that Adobe today has better sales data on the transactions they licence, than the publishers! There should be no digital returns and what disputes may occur, can always be dealt with retrospectively. So why has the standards and processes not been delivered to provide live and transparent reporting of sales transactions in a standard manner. We bet its coming but not soon and probably at the same speed that the returns issue did in print. Perhaps we have been so obsessed with readers, platforms, formats, aggregators, pricing and DRM we have forgotten to close the loop? Perhaps we shouldn’t be thinking about ‘messages’ as much as instant processes. Remember those ‘Book of the Month’ Book Clubs, where you often forgot to send the unwanted title back and then spent an age sorting it out? 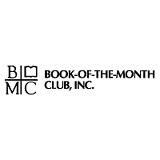 Bertelsmann were the ‘Book club’ with the leading Book Club services in many countries and a club for every taste. Today, the once giant club has fallen on hard times and laid the blame on the internet, Oprah, deep discounting and much more. The US Direct Group’s business alone has shrunk by some 75% from its peak. The truth is that they, like many others, thought the end would never come and they had a licence to trade for ever. Today the Direct Group has sold off most of its international subsidiaries, U.S., UK, Italy, Spain, Australia, Asia, and France, and plan to wind up the rest. Webb bought up the UK BCA business and have proudly declared that they intend to increase sales by 30%, but after all that is easily when the beast is on its back and sales are rock bottom. Najafi Companies, a Phoenix-based private equity firm, have bought Direct Group North America and clubs such as the Book of the Month Club and Columbia House. So what went wrong for what on reflection was an obvious internet service? After all they understood managing mail lists and direct marketing. They understood the book market and product mix. The had a diverse demographic of heavy book buyers and they did business from the armchair. The problem was the model which was based on, locking members into buying cycles, dumping a book of the month on members and ‘twigging ‘. Twigging is were one starts with a branch, say History then that twigs into ancient civilisation, medieval, 20th century and so on and these can even twig further. They missed two significant changes; one that readers were becoming and probably always have been eclectic in their reading and secondly depth of range was becoming available in a click through the likes of Amazon. In fact Amazon is the new book club sending you alerts to titles you may be interested in and given you the range at your convience in a one click operation. The challenges that the old Book Clubs that have not already adapted now face are huge and that is without digital content. However, their skills and ability to rise to the challenge is still possible as they still have a community or communities but will they understand that twigging is for the past? Will they open themselves up to discounting? Will they leverage their huge lists before they become inactive or die? Will they understand how to digitally direct market? Is it possible for them to step forward to take on digital rentals? In our hearts we want them to change, throw out the old and antiquated business model and practices, but somehow in our heads we fear that leopards don’t change their spots. Nokia has announced that Apple will pay to use the their technologies, and finally ends a long-running patent litigation between the companies. First Nokia sued Apple in 2009 and that was followed by Apple countersuing and that was followed by Nokia extending the action last year. 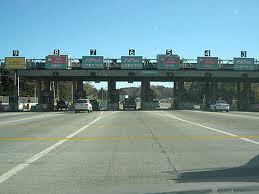 The areas of dispute included 3G, Wi-Fi technology, caller ID and touch interfaces. Apple will make an undisclosed one-off payment to be followed by further undisclosed ongoing royalties and although the figures remain confidential it is clear from Nokia’s statement that it is likely to be significant. The development will almost certainly mean that other manufacturers using Google’s Android platform are now likely to have to pay Nokia for using the same set of patents. This could be beneficial to Apple who may have higher margins in which to play than their competitors and may also have less of an infringement to settle. Whatever the outcome Nokia has a new source of revenues and perhaps can now use this to move forward. In the current series of the reality TV show, ‘The Apprentice’, Lord Sugar, set his would be entrepreneurs the task of developing an app and marketing it. The winner was not decided by the best app, the best launch pitch, or the work that went into the app. The winner was be the team that got the most hits in 24hrs and the factor that decided the result was down to one pitch to the leading app endorser, as they promoted the best new app each day to millions of consumers. The teams didn’t know that this was the ‘kingmaker’ ,but it did decide the winner. The moral being was that it is simply down to getting the backing of the man that matters, who influenced in biggest market and hey presto, you can have a hit even with a dog of an app. Apps however aren’t for every ebook. Some publishers appear to want to use technology for technology sake, whilst others are happy to simply pour the print content unaltered into a digital jacket. However, digital often offers much more than these two extremes, but all too often it is the extremes that appear to be concerning many in the market today. We believe that digital is not constricted to the size of work and that 300 print pages may not be appropriate and that digital also offers new serialisation opportunities that may be far more appropriate to a digital work. Some would suggest that digital is not just about stuffing the unsuspecting book with games, interaction, video and technology in order to make it just ‘fatter’. After all, in many cases it’s the same book, same blurb and same stuff. 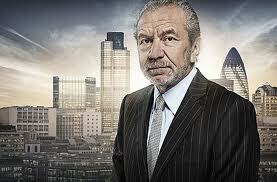 A major trade publisher we talked to recently has adopted a similar approach to developing apps as Lord Sugar. Perhaps they are followers of ‘The Apprentice’. This time the kingmaker is Apple and the do what Apple say they want to see in an app and to work with and exploit their technology. They the work with Apple to get their endorsement and hey presto, a frog can becomes a prince. So if you want success; forget what the market wants, forget what the author wants, forget the publishing input, forget the reader and do what Apple wants in order to show off on their iPad platform. This may be a simplified take on what was being advocated, but it is close enough to revive many ‘CD Rom nightmares’. It also begs the question, whether the dog is wagging the tail, or the other way around? We found ourselves asking how many publishers had used focus groups on their digital developments, or were the simply listen to what the likes of Apple said they wanted and looking for their endorsement to push sales. Perhaps Sir Alan is right and the actual content and marketing doesn’t count nearly as much as being kissed by the likes of Apple. 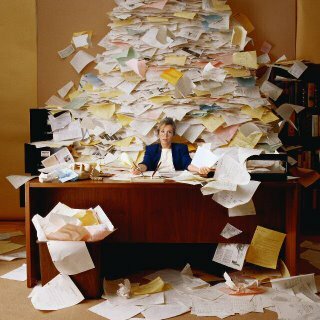 Literary Agents fulfil many valuable roles. There will always be those that are deemed better than others and those who specialise or excel in certain areas. Some are expert ‘match makers’ and have the right contacts, in the right places, to ensure that ‘perfect’ match. Some are legal eagles and have the ability to pick through the finest of legal jargon, to ensure the interests of their clients are best served. Some are like PR Managers, who know how to exploit the author’s brand and extend the profile and earnings past the book. Some are ‘shapers’ and help hone the work and its position for the market. Some are all-rounders. Whatever the strengths and weaknesses, agents fulfil a pivotal role and like many agents in other walks of life they are now built into the publishing system. Today, we read about the agents becoming digital publishers and publishers circumventing agents on digital in the UK and US and we have to ask what the role of the agent is in a digital world and whether it has changed? Is the role one we have constructed and built out of genuine need, or is it one that that has creep up on us and is now merely been woven into the fabric of publishing? Regular readers will know that we have just returned from an enlightening trip to Norway, where as well as speaking, we also listened to the industry and gained some understanding of how they did some things somewhat differently. Norway doesn’t have literary agents sitting between the author and the publisher like we do in the UK and US. They do use agents but mainly for foreign rights sales and it appears to be somewhat of an ‘agent free’ zone. This may be based on the size of the market, the fact that it is indigenous, the size of the writing pool and manuscript pile, or just be down to evolving to a different way of doing things. The vast majority of contracts in Norway are to a standard industry boilerplate contract. Yes in the main the construct of the contract is the same for all. Now that is novel and offers so much opportunity with respect to recording, managing and searching for rights. If we step back and ask what the role of the agent should be in a digital world some would argue that by becoming a publisher agents loose their independence to represent authors and have a conflict of interest. Others would argue, that by grasping the digital backlist nettle they are in fact waking up publishers to the heritage they have all too often ignored and treated as ‘having had its day’. An agent approached a friend only a few days ago asking about a digital deal on some print back list titles that had been reverted. They had a ‘great deal’ on the table and offered the author the industry ‘standard’ 25%. Was it such a good deal and were they merely looking at the opportunity to collect 20% on what was a dead title? Many questions ensued. Was this a fixed term licence or perpetual? How much marketing and sales promotion was to be done, or was it to merely be thrown onto a digital shelf? What were the sales expectations and pricing model to be applied? The questions went on and the answers became somewhat muffled. Its ironic that in an on line world of instant sales, cash transfers, real time information and where digital sales are sold effectively on consignment, it still take months for an author to be paid their digital royalty and they can’t they see their digital sales in real time? Its as if everyone has forgotten about real time sales and still want to force digital sales through old print royalty systems. Is it any surprise that many authors and agents are now taking their digital opportunities more seriously than some would suggest their publishers are? There is no right or wrong answer to the question of whether agents are essential and what they role should be on digital. However, one has to respect those who have at least seen that merely throwing digital titles onto a digital shelf in order to just to tick a box and one that that was all too often missing in the contract is maybe not always the answer. We have still to address ebooks for free from your armchair via your public library versus ebooks to buy, or licence from the internet. The challenge is real and continues to demonstrate that digital is different. We saw Barnes and Noble and Amazon open up their respective doors to book lending and although this is still on a small scale. We have seen Amazon forging a relationship with Overdrive and providing ebooks alongside Overdrive into libraries. It is also easy to envisage that together with Google’s cloud approach books on demand, for individual rental or subscription may not too is not far away and it is easy to see Apple ticking all the boxes. It is also easy to envisage this being the way to create effective reselling or licensing of used ebooks. Now we read that the other albeit smaller aggregator Kobo, has also an eBook lending program planned this year! Although Kobo has not divulged all of their plans for lending program it is defiantly coming and probably a must if they are to keep up with the bigger competition. The challenge for all these new initiatives is to get Publishers to agree to it and although the bigger ones may be cautious and slow to adopt, independents are more likely to adopt a more adventurous and early adopter approach. In order for Kobo to be on par with the biggest companies in the e-reader and ebook market, they have to implement ebook lending and also a self-publishing program. Norway is different but similar to many countries as it grapples with the challenges of a changing book market. It is assumed by many that they are inside the European Union but they are in fact like Switzerland and Iceland outside of the Union and voted by referendums in 1972 and 1994not to join. However, they are within other European entities and often have to follow the path set by Europe without the power of a vote. Obviously they have their own currency. 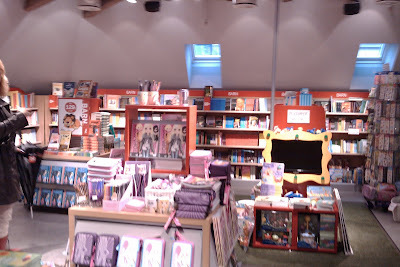 They operate a fixed book market which controls the price of a title for up to 15 months. Any title bublished with a calendar year can not be discounted until after April 30th the next year. So a title published say in October only has a fix price life of some few months. There is also a National Book Sale at the beginning of each year when unfixed priced books can also be sold in a similar way that the old National Book Sale took place in the UK under the Net Book Agreement. Print books incur no sales tax whilst all ebooks have a 25% sales tax. This is currently under a lot of pressure from within Norway as well as from the VAT changes and current harmonisation activity within Europe. A further consideration in Norway is the vertical nature of much of their market. The major chains are owned by the major distributors who are owned by the major publishers. For example the large Scandanvian publishers Bonnier and Egmont own Norwegian publisher Cappelen Damm who owns distributor Central Distribution and bookchain Tanum. This market contruct works both ways but is seen by many outside of the verticals as unhealthy and by many within them as healthy. 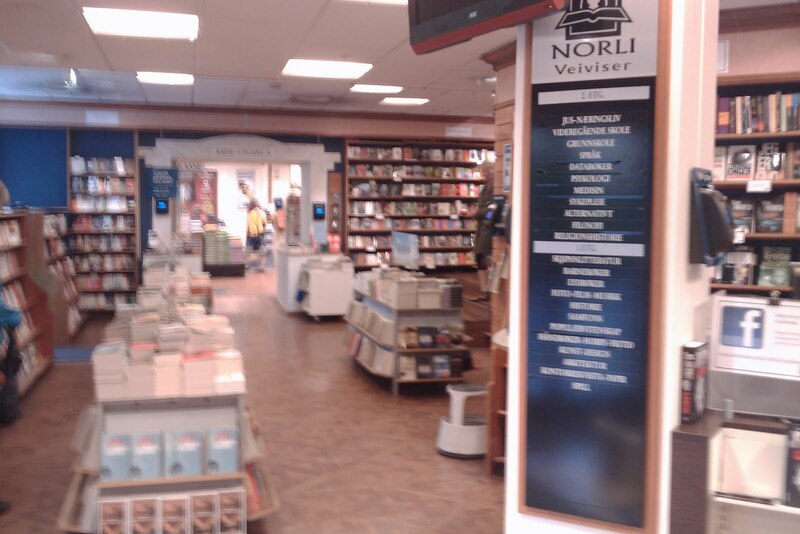 The one thing that is clear just walking around Oslo is that Norwegians love books and there are bookstores around every corner. There are some 650 store in the country and these are dominated by the chains Ask, Libris, Tanum and Norli. There are also no prices on the book jackets. Digitally the publishers and booksellers have got together to create The National Bookdatabase which aims to accommodated all the Norwegian digital books and distribute these through the bookstores. This interesting initiative is to be applauded and if they keep control of their own indigenous literature and heritage then perhaps they are showing a way in which smaller countries should approach digital. I would like to start by offering four observations which I believe help forge the future of ‘the book’ and with it our digital future.I will then look at how these are reshaping the author, the publisher, the book channels and bookstore and are starting to determine the winners, survivors and the losers. The first observation is that we now live in a YouTube society. One, where self expression and opinion can now be, heard, seen and shared in a click. Yesterday we listened, watched and read media. Today we make it and instantly share it. Today is less about quality and more about the width. At the start YouTube looked bad quality, with cameras often out of focus and juddering. But YouTube today has redefined video and even influenced film. It has created a new genre of film, created new stars, launched musicians and given us all very funny moments. With social networking it has redefined communication and expression. This explosion of creativity means that Publishing must now learn to embrace the author, whose English and grammar may not be old school, but who has a story to tell and often a new language to tell it in. Self publishing is no longer the grubby slush pile of sad unwanted titles, but a vibrant market which is increasingly engaging more and more people. This is not bad, this is not to be looked down on, but is something exciting, new and to be celebrated. We may not have more readers today but we certainly have more writers! We must now celebrate and learn to accommodate a new dawn of creative expression which the YouTube world has created. The second observation is that digital is different. This may sound silly and somewhat obvious but many publishers by their actions obviously don’t think so. Many see digital as merely replacing the physical jacket with a digital one. Same text, same blurb same stuff.Some want to enrich it by adding more media and make it in effect ‘fatter’, but it remains the same story, same stuff. It isn’t about stuffing the unsuspecting book with multi media, gizmos and delivering digital stuff. It is about understanding how digital makes things different and creates new opportunities. The challenge is to recognise that digital offers a fundamental change in the development and delivery of content and how it is read. Ask yourself why do we still continue to produce books with around 300 pages, or the optimum print economic model? Why does the work even have to be complete on initial publication? 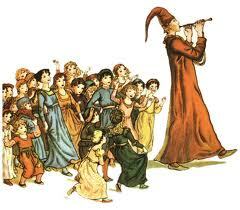 After all the serialised story is not new, Dickens did it in the 19th century. The Japanese Keitai style of novel may now be more appropriate for the new mobile technology and lifestyle than today’s all or nothing 300 page tome? Another issue is the assumption that digital rights are just an extension of print rights. Why do we continue to combine digital and print rights and surely its like combining film and print rights – sometimes relevant but far more the case it’s not. The third observation is about marketing and promoting works. The book industry appears still locked in a 20th century time warp and in denial over the 21st century. As an industry we have failed to deliver anything but an ISBN to identify a work and now are use it to identify everything and every part of everything. We failed to understand the need to group renditions of the same or similar works and fragments were unheard of! The International Standard Text Code (ISTC) has long missed its opportunity and one that is not coming back again and lies buried deep in the industry labyrinth of standards. 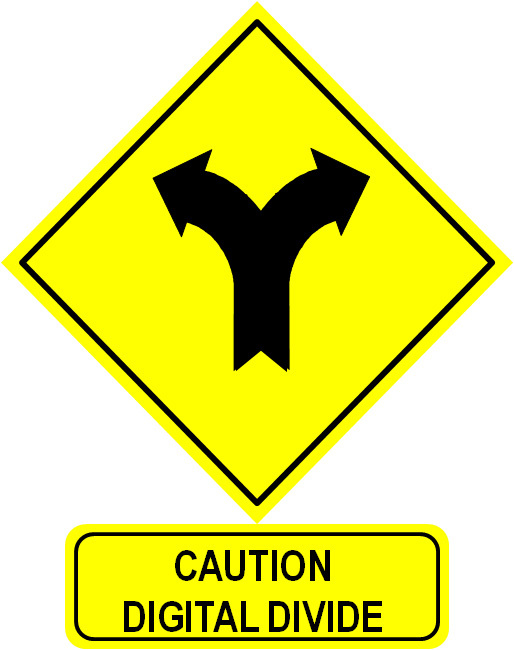 Industry standards bodies which achieved so much to improve the print supply chain appear to be standing transfixed like rabbits in the digital headlights. They also remain focused on business to business but it is business to consumer that presents the challenge and these bodies where never set up with that focus. Today the line between content and context is blurred. We used to use jackets, blurbs, search inside widgets to promote and market books. However, today we live in a YouTube world of visual real time promotion and social and viral marketing.Its ironic that everday all of us find stuff via search engines and these often care little about structured metadata and ISBNs. We talk a lot about watching and learning from other media sectors yet we appear to have not even seen or understood music’s MTV moment. The forth and final observation is that media in a digital form; music, film, news , games, books are moving from a world in which we bought and ‘owned’ media to one where we subscribe and licence it on demand. Cloud computing and mobile technology is changing how we access and utilise media. Pandora, Spotify and the likes of Last FM are starting to supply whatever music we want to hear, whenever we want to hear it and wherever we want to listen to it. Online gaming is proving that many want to play and compete with others online. TV on demand’s growth is proving that we don’t want to be scheduled but to watch at our convenience. The on demand world changes not only how we distribute and consume media but also how we licence it.In reality we now no longer own an ebook but merely licence it. This obviously impacts how we price it and what people are willing to pay for it. So what do we draw from these brief observations and is there a way in which we should respond? The challenge with rapid and fundamental change is that it is disruptive. Anything that takes time to adapt is probably dead before it is born. Development by committees was once needed and consensus was seen as the goal but moving at the pace of the slowest and accommodating all could now be a recipe for disaster today. 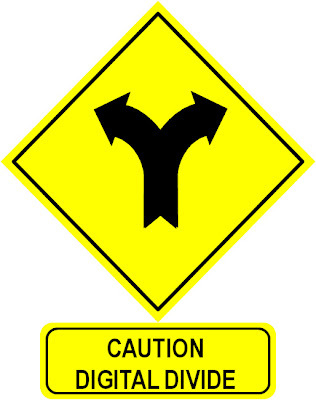 Collaboration and consensus is always best, but these are no longer acceptable if it takes too long. What is becoming increasingly clear is that the roles and value of those between the author and the reader are increasingly being questioned and are blurring. There is no divine right to survive and some will not make it across the digital divide. I would now like to look the roles we thought we understood so well and would last forever. I want to give you my insight into: authors, publishers, channels and bookstores. The players in today’s trade Value Chain from the Author to the Reader. Many of their works are in the public domain and are termed classics, others works remain in copyright but are out of print and some are still in print. I’ll give you a test. Walk into any bookshop anywhere in the world and I will bet you that less than one in a thousand buyers turn first to the copyright page to see when the book was published and if it’s new. Obviously, the exception are those who seek first editions but in the main readers care less about the age of the work than its content. However some would say that publishers appear to care more about the new than the old. Authors are for life not just for Christmas. In the digital world an author doesn’t go out of print, do not get forgotten and filed away under ‘reprint under consideration’ and importantly can find a second audience. Digital may not generate the unit sales of print but can offer a perpetual bookshelf for all to enjoy. Digital is just as much about rediscovery as it is about creation. The Bloomsbury Reader programme is one example of the digital opportunity to rediscover past modern classics. There are many more now being initiated by authors themselves, by literary estates, agents as well as publishers. Rewarding authors in a digital model is a challenge and merely replicating the old royalty system with different digital rates, is at best questionable and worst plain stupid. Its ironic that in an on line world of instant sales, cash transfers, real time information and where digital sales are sold effectively on consignment, it still take months for an author to be paid their digital royalty and they can’t they see their digital sales in real time? Its as if everyone has forgotten about real time sales and still want to force digital sales through old print royalty systems. A good friend and US publishing consultant and thinker Jim Lichtenberg once related that publishing was similar to two frogs mating. They produce thousands of spawn, which turns into hundreds of tadpoles, who eventually become tens of baby frogs swimming around avoiding their many predators. Finally, a mere handful make it to the bank and came ashore. One is kissed by Oprah Winfrey and book is turned into a ‘Prince’ and a bestseller. The moral being that you needed the thousands to get to the one best seller and predicting that is often very difficult. Today that still prevails in printworld but in digital the stakes are somewhat lower and the returns even less predictable and more baby frogs can now make it to the bank. However we must realise that publishing is not one industry but several that have been merely joined by a common format the book. As digital starts to explode the book spine, then these different sectors will move often in different digital directions and at different speeds. Academic and professional is digitally different to education and they are both different to trade. Even within sectors such as trade genre will diversify. It is interesting to observe sectors such as academic and professional consolidating into more vertical units and trying to move increasingly direct, whilst their institutional buyers are trying to take control themselves and break them up. Education publishers are now creating learning platforms where curriculum content is only part of the solution. We see Trade publishers trying to create niche and brand verticals. What is interesting is that the economies of scale and scope that prevailed in print don’t always transfer to digital where there are now newer and bigger gorillas. Nimble and agile are words that should count in digital publishing. All too often we still see digital books being produced last as if they are an afterthought they are not seen as integral or even the primary production driver of a work.This just perpetuates yesterday and that may not be appropriate tomorrow. Digital and network technology together with a global economy have changed the channels we once knew. The wholesalers and distributors who thrived in the print world are increasingly finding it though against the new digital aggregators of the virtual world. My company’s technology underpins the Gardner Books digital platform in the UK, KNV/O in Germany, Centraal Boekhuis in Holland, the Bloomsbury online library shelf and the ebog public library system in Denmark and others, so giving me some good insights to digital channels. The US trade ebook market share today is different according to who you listen to but the general consensus is that Amazon has between 55 and 60%, Barnes and Noble between 15 and 20%, Apple 10%, Kobo between 5 and 10% with Google has to make it mark and around 2 to 5%. The rest are not worth writing about. Do you see an opportunity for others to achieve these levels or even double digits? Will Amazon’s number continue to fall as others grow? Are the US market shares like to prevail across all trade markets? Interestingly I refer to these players as channels but they are increasingly vertical aggregators, providing digital platforms and selling direct or through affiliates. The market share figures will change between countries and some US centric offers such as Barnes and Noble may find it tough where their brand is not known. The global brands such as Amazon, Google and Apple will however find it easy to use their brands and reach to dominate all markets. But will they remain focused on English language titles and other major languages, or take on all books in all languages? Just like Barnes and Noble have demonstrated the strength of a localised brand opportunity in the US, I believe the same is true in many other markets. Countries that have their own language and an indigenous publishing heritage and industry could focus on that and learn to compliment the English language books and channels as they have with print. However, fixed price markets that supported print may not work well with highly reactive and free markets and the lack of VAT harmony can also present a negative consumer issue. Amazon has all the bases covered from author to reader and their recent announcement of the establishment of a full publishing division under the leadership of Larry Kirshbaum is not one to be ignored. Barnes and Noble have long published and bought into print runs. They have also acquired Sterling Publishing and also have now launched their self publishing ebook venture Pubit. Channels are no longer just about distributing books. So where does this leave the Bookstore? 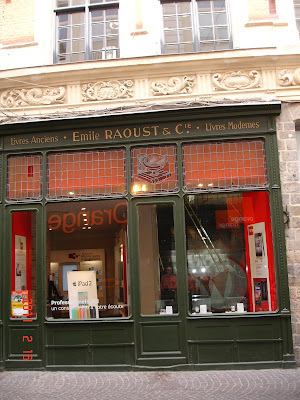 This is an interesting picture I took of a beautiful storefront in Lille, France. 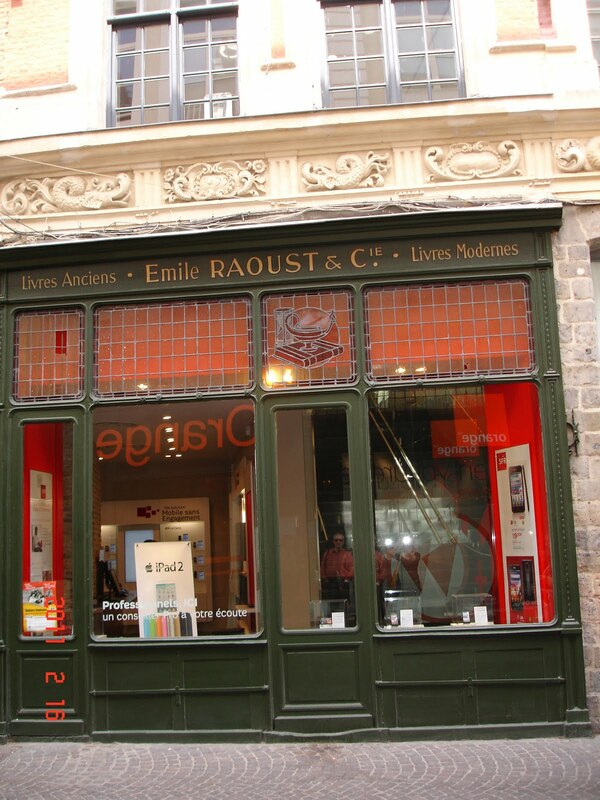 The shop once was a bookstore and over the window it still says Livers modern and Livers Ancient – new books and old books but under this somewhat iconic façade is now a mobile phone shop advertising the iPad2 in its window. 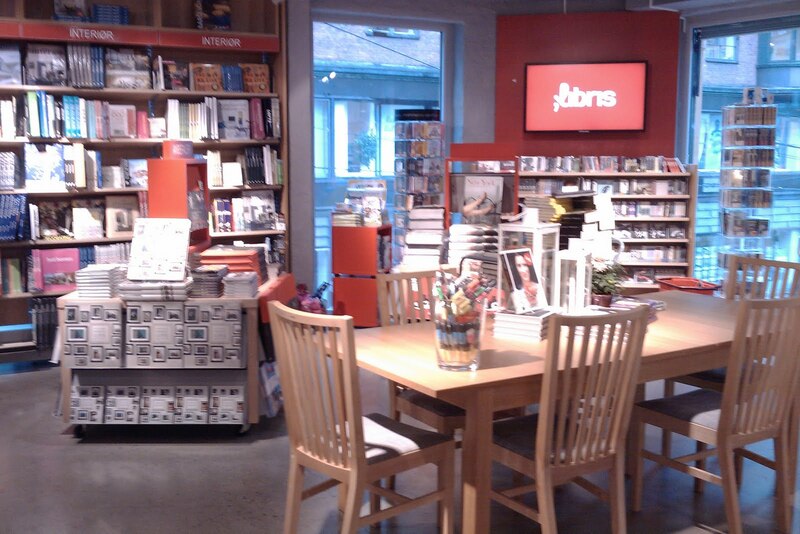 Is this the future of the bookstore? 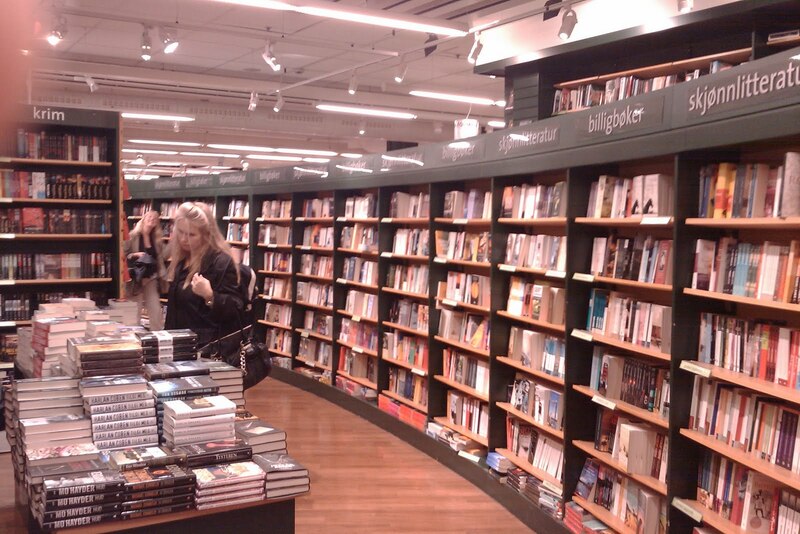 We have seen the dramatic downfall of the bookchains in the US with Borders, Angus & Robertson and Borders bookstore chains in Australia, and Whitcoulls stores in New Zealand and the UK with Waterstones being sold for chump change. Independents continue to suffer with some making headway whilst many in the US and UK find it harder to survive against the discounting wars and their alienation from the digital world. Some believe that fixed price markets are the answer others that they often just perpetuate inefficiency and over production and we now live in a global economy that can expose localised price differences in a click. The US ABA’s Indie Bound service may offer a digital hope for some bookstores but remember the bookstore that enters affiliate deals will be effectively handing over their brand and even clients to others. This after all is just another white label affiliate store. The UK trade, just this month, awarded Sainsbury’s, the UK’s second largest supermarket the accolade of Best Book Chain. Sainsbury were not alone and Asda who are owned by WalMart were also in the running. This speaks volumes for the state of UK bookchains and the challenges now facing Waterstones. 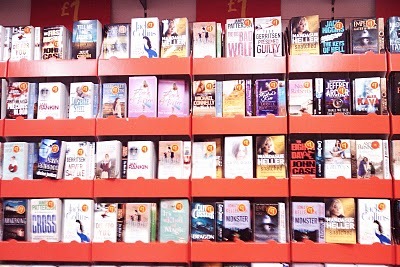 This picture is of a book section within Asda early this year where they were selling books at £1 each and not a few thousand but hundreds of thousands. Interestingly they were cheaper than the gift cards in the next aisle. I recently also wrote about Carrefour supermarket book selling in France. Due to the fixed price market they are unable to offer deep discounts or the ridiculous prices of Asda. But they can enjoy high margin sales protected by the fixed pricing and high income driven by a focused range and their large footfall. Whichever way you look at it the result is the same on the traditional bookstore. Waterstones today may have challenges in stores but they also have an equally dire digital and online proposition. Earlier this year I wrote two articles, one of which is my second largest read of all time, entitled ‘Would You Buy an eBook Reader off this man?’ A recommended this read for anyone wishing to see how not to do it. All Bookstores are being squeezed by the new channels, new retailers and even the threat of Libraries loaning the ebooks for free over the internet. Amazon and Barnes and Noble also now have launched ebook loan services and Google wants to be a friend to both libraries and bookstores. Bookstores now need to think outside of their comfort zone and into the digital one. They may not sell digital over the counter but have to start to think of their business in a digital world. I learnt a lot about the booktrade from my wife Annie Quigley who owns Bibliophile, the largest independent mail order bargain book club in the UK. She has just received a royal warrant for bookselling to Buckingham Palace and to the Duke of Edinburgh and she is one of only two booksellers to achieve this distinction. She has some 80,000 members which she sends a 36 page tabloid newpaper catalogue every 5 weeks, offering some 1300 titles, many of which will sell through on that catalogue. She buys firm and operates out of a warehouse in London’s East End. This month she has just gone live with an ecatalogue. This will go to over 50% of her members who can now order in a click off the ecatalogue and can also share it with anyone. Not only does it mimic her physical catalogue, include her unique reviews of every book, it offers annotations, bookmarks, send to a friend and much more. You can also text search across the ecatalogue. It also now holds her unique and personal Youtube book review videos and plays these within the catalogue. Best of all she now knows everyone who opened that catalogue and what pages and videos they viewed, and their orders are automatically captured within her back office. Today the YouTube videos are of high end art or specialist and collectable books where the buyer wants to experience the book being handled and see more than just flat dry pages. They not only provide her members with a great experience but they put Annie’s enthusiasm and passion right in front of all her customers. Forget meet the author this is a sort of, ‘meet the bookseller’. In less than a couple of months she now has some 70 plus videos up on Facebook, YouTube and her blog and these numbers are growing every week as she buys, reviews and sells more books. Annie is no ordinary bookseller, she is an editor and a marketer and also a publisher. Bibliophile is digitally bringing back books she knows sell and have been forgotten. She has just published, on the Kindle platform, her father’s ‘Lost For Words’ and ‘Diana’s Story’ which were also made into Emmy and Bafta award wining films and after a few years were forgotten by his publisher. Next she plans to epublish her mother’s 30 historic novels and much more. So I believe that booksellers do have a real future in the digital world. I am pleased that here in Norway you thinking outside of the box and are working as one on your The Norwegian Bookdatabase. It provides Norwegian Publishers and Booksellers the perfect platform to co-operate. It will also provide a viable platform to support Norwegian literature. Some may say that Norway is a small market but it supports hundreds of publishers, 650 bookstores and some 800 libraries and I don’t call that small. Importantly, the repository is yours and you should keep it that way. Today I have given you four observations which I believe are things we must all take into consideration when planning our way forward. Today’s YouTube world is here, Digital is different, Digital marketing has to be consumer centric and we are from owning media to now licensing it on demand. I have also given you some insights as how these may impact authors, publishers, channels and bookstores. Finally a word of warning. These are perilous and unchartered digital seas and although I may be able to teach you how to swim, I can’t stop you from drowning.